Christopher Columbus and his Spanish colonizers brought sugarcane into the Dominican Republic at the end of the 15th century. Today, agriculture is one of the most important sectors of the Dominican Republic’s national economy and sugarcane is the country’s most important agricultural product. The processing of the sugarcane stalk produces sucrose, the main product of sugarcane. Cane accounts for about 80% of the world’s sugar production. Named after the man credited with bringing the crop into the Dominican Republic, the Cristobal Colon Company is the second largest producer of sugarcane in the country. The company owns 57,000 acres of land and employs 3,500 migrant workers during the harvesting season from December to May. Off-season, the company continues to employ about 1,000 workers. With such a busy harvesting season and employees that are paid in cash, Cristobal Colon was having difficulty making sure workers were paid properly. The company, like many others that have large amounts of migrant workers, was relying on IDs and management’s visual verification of each person to make sure that the correct individuals received their cash wages. In some cases workers did not have their IDs and in other cases people were fraudulently providing IDs to collect wages belonging to others. “It’s a very weak way to identify people. Sometimes we just had to trust that the worker was identifying himself correctly,” said Edgar Espinal, information technology manager at Cristobal Colon. A few years ago, Espinal and his team began investigating better ways to identify workers for cash payments in the field. He came upon Codebench via the Internet and asked them to develop a custom solution to biometrically authenticate employees before handing them their money, without the use of cards or certificates. Rather than a one-to-many match process to verify a person, Cristobal Colon needed a way to identify a person via one-to-one match. Managers in the field needed to know if the individual providing the fingerprint was in fact the person they claimed to be. Once Codebench developed the software, Cristobal Colon IT staff built an interface with the company’s human resources and payment systems. “It is of great importance to know we are paying the right people, regardless of whether they have a personal ID with them or not,” says Espinal. 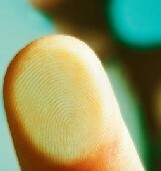 Employees are first enrolled on a desktop computer at the company’s headquarters by taking their fingerprints and making sure there are no duplicates in the system. The fingerprints are stored in the company’s HR database along with a PIN for each person. That data is pushed to Intermec handheld devices equipped with Edgeline fingerprint scanners for use in the field. Managers on the plantation sites then use the handheld devices to take fingerprints and PIN numbers before paying the migrant workers. Initially, Espinal and his team were worried that the system would struggle to identify workers with worn out fingerprints or calluses from manual labor. The sugarcane producer started out with 10 mobile devices but quickly increased the count to 30. Cristobal Colon is in the process of adding eight more mobile devices, and more tablet PCs and desktop stations running the software to keep up with new applications that IT staff continue to develop. One of those new applications that Cristobal Colon has found useful is tying the biometric information into its cafeteria payment system. “Employees validate with their fingerprints in the cafeteria and it goes directly into our payroll system,” Espinal explains. Cristobal Colon is gearing up to use the software for a Census application that will expand biometric enrollment to family members of employees and people living in the community. The company provides a number of services to community members, such as sanitation, education and medical care. The company wants a way to make sure they are providing the appropriate people with allotted services while ensuring delivery is not duplicated.